What role does music play in your life? Do you play any instruments and/or write music? What are your favorite bands, artists, and music genres? Please summarize your education and work history. 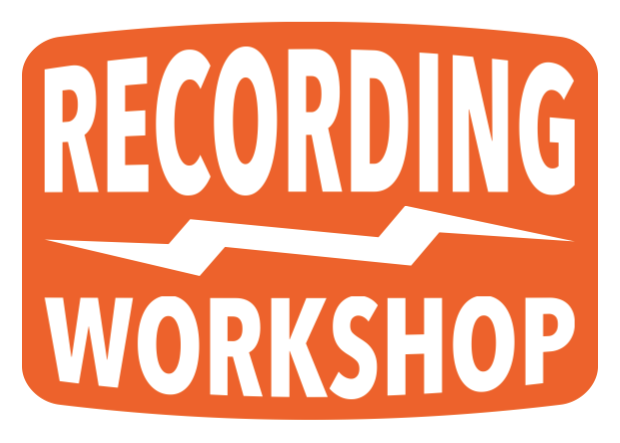 How did you hear about Recording Workshop? What are your plans for housing? If choosing Recording Workshop housing, what is your requested type? Any special notes or needs for your attendance? Classes are typically held Monday through Friday. Occasional weekend classes may be held in the event of holidays, guest speakers, or makeup classes. Clock hours total 180. Tuition for the CORE Program is $3475. Book and Material Fees are $90. These fees are not subject to any increase during the period of scheduled attendance. For those students who choose to stay in Recording Workshop Housing, rental rates range from $60 to $120 per week. A refundable security deposit of $50 is also required. All tuition payments, housing, and miscellaneous fees must be paid in full before the start of classes. All payments are 100% refundable up to the start of classes, provided notification is given to Registrar’s Office by 11am the first day of classes. Students who withdraw after partially completing their training are refunded their tuition less a charge of 5% per day. No refunds are given after the completion of one half of any Recording Workshop program. Students must obey all local and state laws and are expected to conduct themselves in a respectful manner. Recording Workshop reserves the right to terminate the enrollment of any student guilty of disruptive behavior or willful destruction of Recording Workshop property. Students are required to speak and read English at a high-school level and perform basic arithmetic. Students with a handicap that could prevent the use of this training for successful workplace performance must discuss this condition with the Director’s office prior to enrollment. Graduates of this program receive Recording Workshop CORE Program Certification. If a student misses more than 20% of scheduled class hours, or if their final evaluation is more than 20% below the class average, this Certification will not be awarded. Recent graduation rates for this program are 97.2% (2017), 97.8% (2016), 98.9% (2015). The employability of a graduate depends on a variety of factors. Recording Workshop does not guarantee employment. Job placement assistance will favor those graduates with higher performance evaluations. Recent placement rates for this program are 80.6% (2017), 84.4% (2016), 81.0% (2015). These rates include graduates securing employment with or without school assistance and exclude graduates unavailable for placement. In addition to directing complaints to Recording Workshop offices, students may direct such concerns to the State Board of Career College and Schools, 30 East Broad St, Suite 2481, Columbus, OH, 877-275-4219. Registration #: 80-07-0696T. This agreement becomes effective upon acceptance by Recording Workshop. The student retains the right to cancel this agreement within five days of Recording Workshop acceptance signing. Submission Statement: "By submitting this Recording Workshop CORE Program Registration Form, I indicate that I have read, understand, and will abide by the terms and policies as listed." After hitting the Submit button, your Registration information will be reviewed by our Registrar's office during our standard business hours (M-F, 9am-5pm Eastern). After this review, you will receive an email to confirm enrollment details. Your Registration is not complete until after this confirmation.